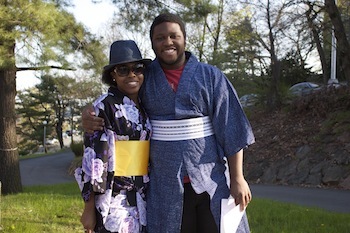 Students are actively engaged in introducing Japan's traditional and pop culture, art, food, and other interests to the rest of campus. 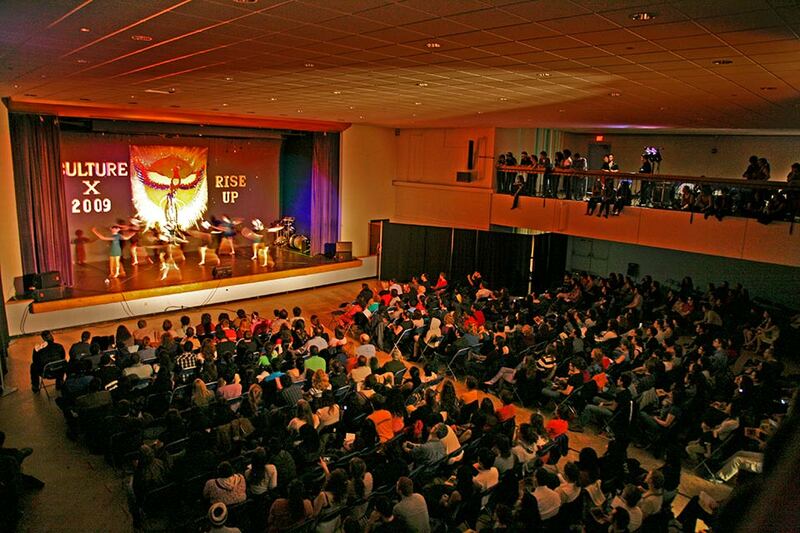 Many events are sponsored by the Japanese Student Association and are hosted by the Intercultural Center. The planning of events and activities is open to everyone, and could include a sushi-making workshop, tea ceremony demonstration, Ikebana, or a Japanese movie/game night. If you have a special interest in anime, the Anime Club has a large lending library of anime VHS tapes and DVDs. Impromptu language exchange is also found on campus. Once a week, the Japanese Language Table meets for Japanese conversation and snacks. 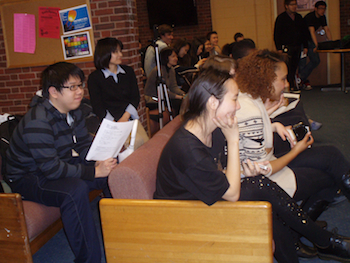 Moreover, students from the Heller School for Social Policy and Management and the International Business School often pair up with Japanese students at Brandeis to exchange Japanese and English language support. 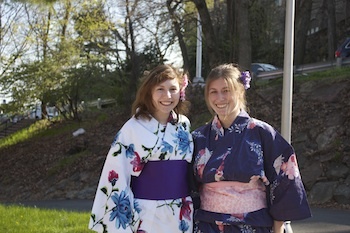 Students in the Japanese Language Program participated in the JSA’s Harumatsuri (Spring Festival) that is held every year. 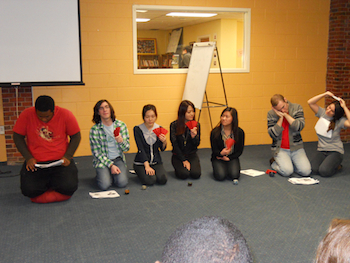 Section 1 students presented the Japanese folk tale "Kasajizo," and Section 2 students presented Haiku recitation. JSA's 2009 Culture X performance of Soran Bushi, a traditional Japanese fisherman's dance. 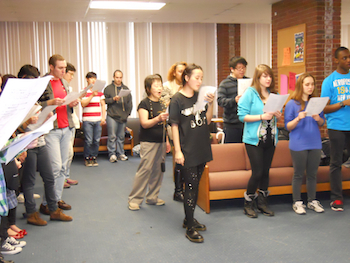 The Brandeis Japanese Student Association, performing Yosakoi's "Soul of Toppu" at Culture X.